Elegantly match your thoughts and ideas with an exceptional fine writing instrument you can trust. Derofe fine writing instruments presents this Stripe Black Ballpoint Pen in an elegant black gift box. Professionally equipped with a Derofe metal refill made in Switzerland with a ballpoint of 1.0mm and writing length of 9,300-9,500m. 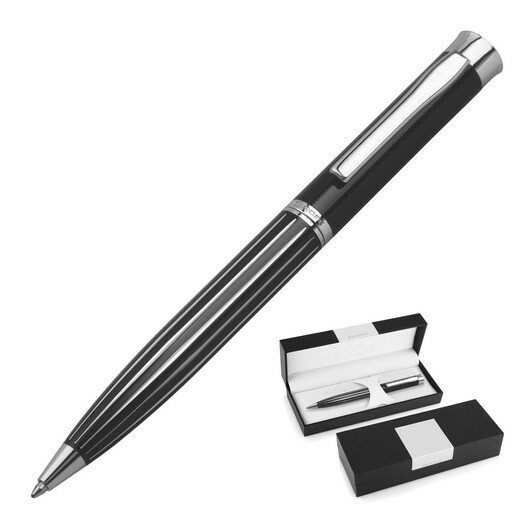 Durable black metal pen with chrome trim boasts a twist action, retractable ballpoint delivering black ink. 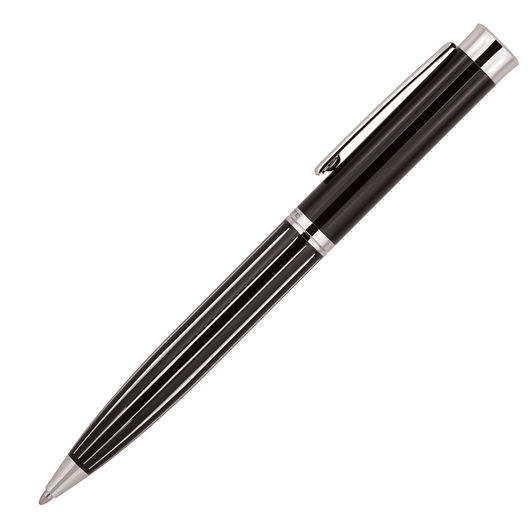 This exceptional pen is the epitome of integrity and quality.